Slovakia. Bratislava. Academy of Fine Arts. 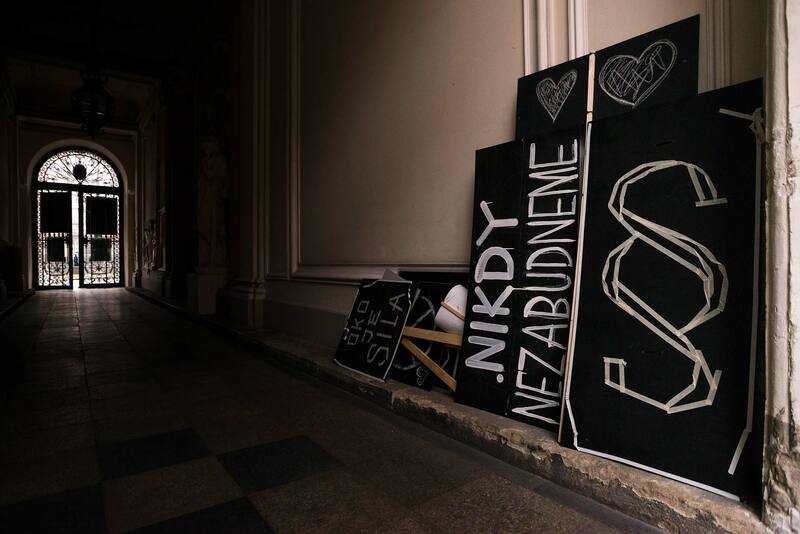 Left-over posters of the protests which led to the step down of Slovak prime minister Robert Fico on March 15, 2018, after the murder of journalist Ján Kuciak and accusations of connections between the Ndrangheta and the Slovak government.